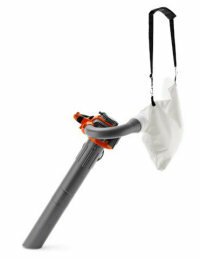 Efficient hand held blowers vacuum that combines high blowing power with user friendliness. Perfect for home owners. Well balanced and easy to manouevre thanks to in-lined air out let. Easy to start with Smart Start® technology. Delivered with flat and round nozzle. Vac kit included at this great price.